Autumn in the countryside is absolutely beautiful and Clock Barn looks wonderful at this time of year. 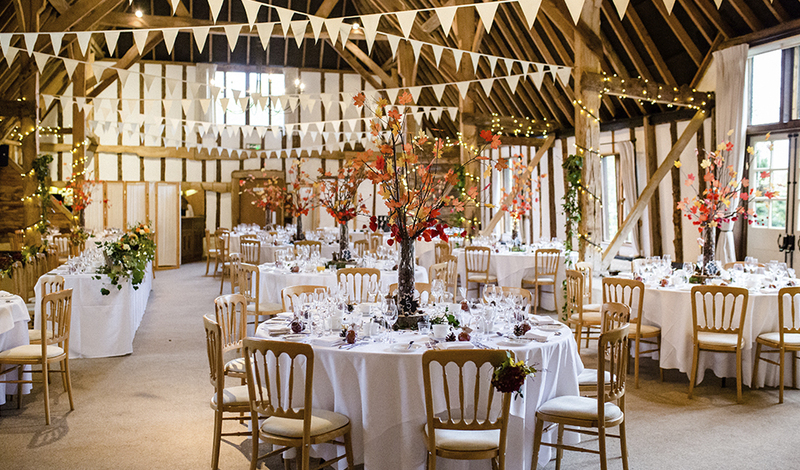 If you’re planning an autumn wedding then you have a whole host of decorative options available to you. 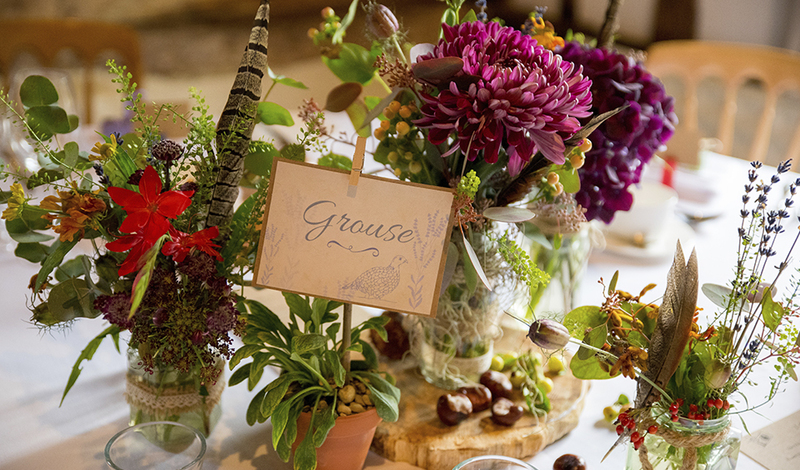 We adore décor that brings the outdoors indoors at this time of year so here are some of our favourite natural decorations that are just perfect for an autumn themed wedding. 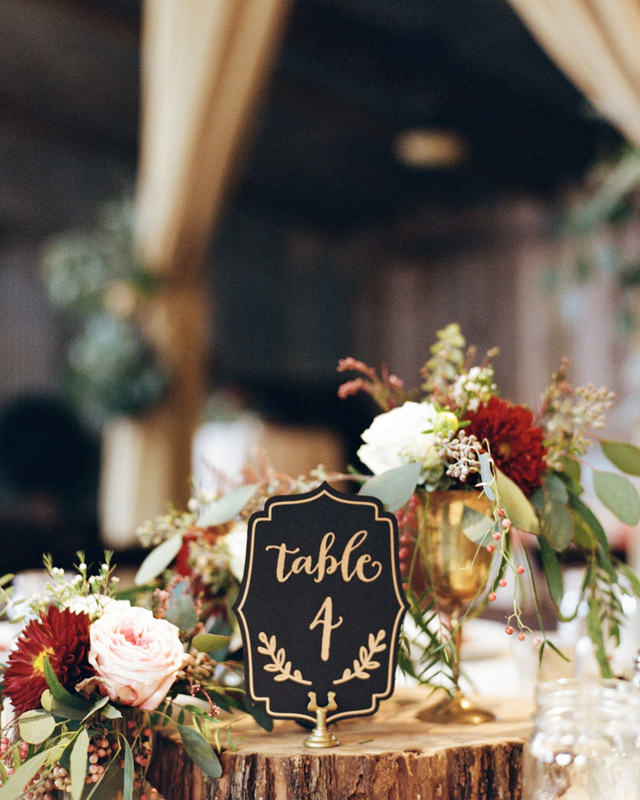 Prepare to pin – we know you’ll love these seasonal wedding ideas. 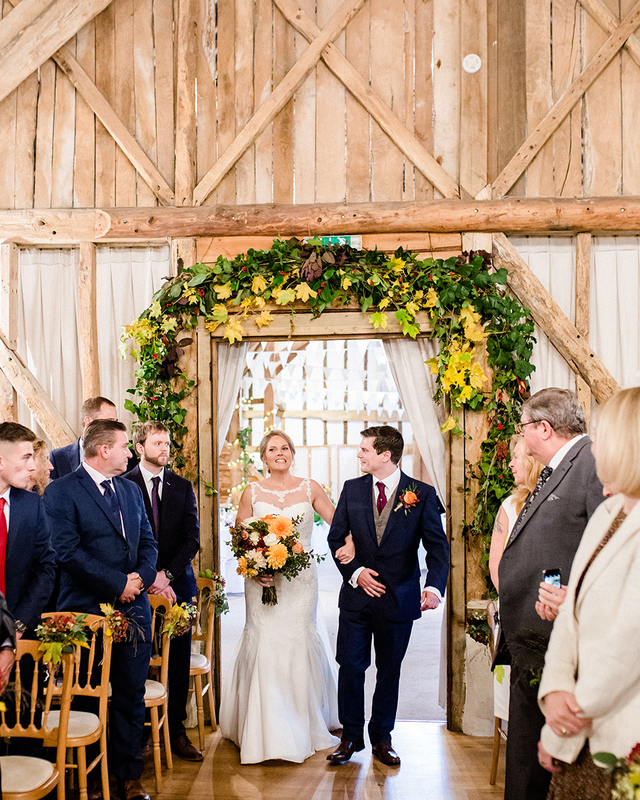 An autumn wedding needs an organic, natural colour palette and the interiors at Clock Barn work really well here. 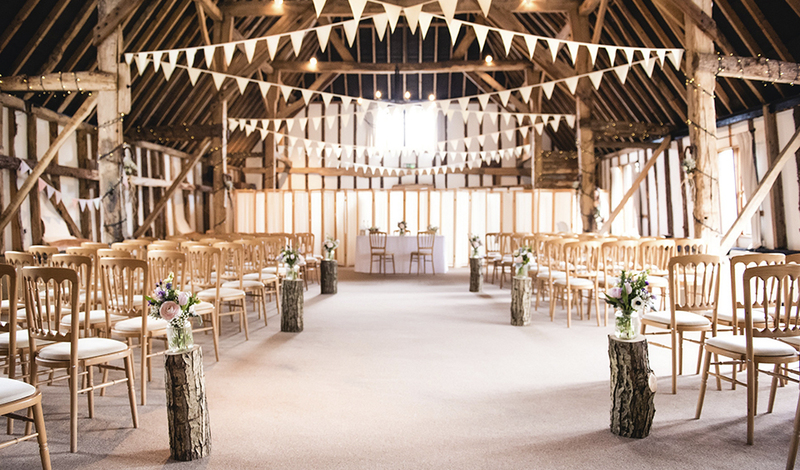 There’s bunting and fairylights already in place for you but bring in lots of additional decorations, all inspired by nature, to give a real sense of the season. You’ve got to take your inspiration from the great outdoors so think about including lots of items that give a ‘just gathered’ look to your decorations. 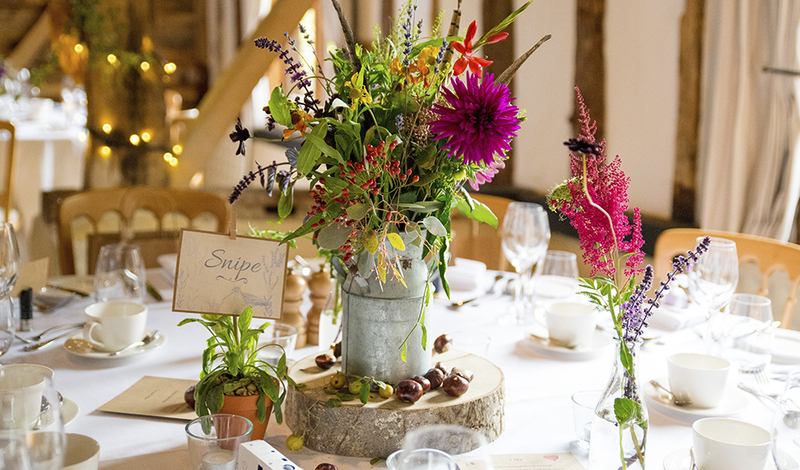 Centrepieces featuring autumn leaves or vases filled with conkers or pinecones totally work with a traditionally autumnal colour scheme too. 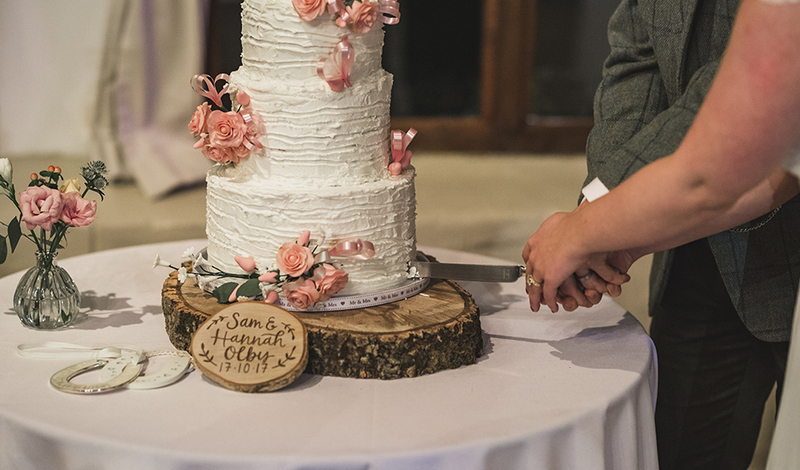 Continue to use leaves right throughout your day – they look amazing as place cards or scattered along your aisle or create your own confetti with a pile of leaves and a shaped paper punch! 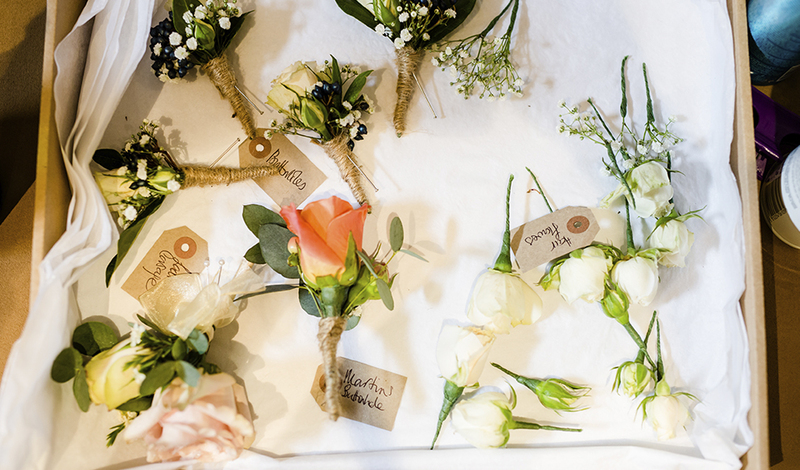 There are also plenty of floral options for your autumn wedding too. 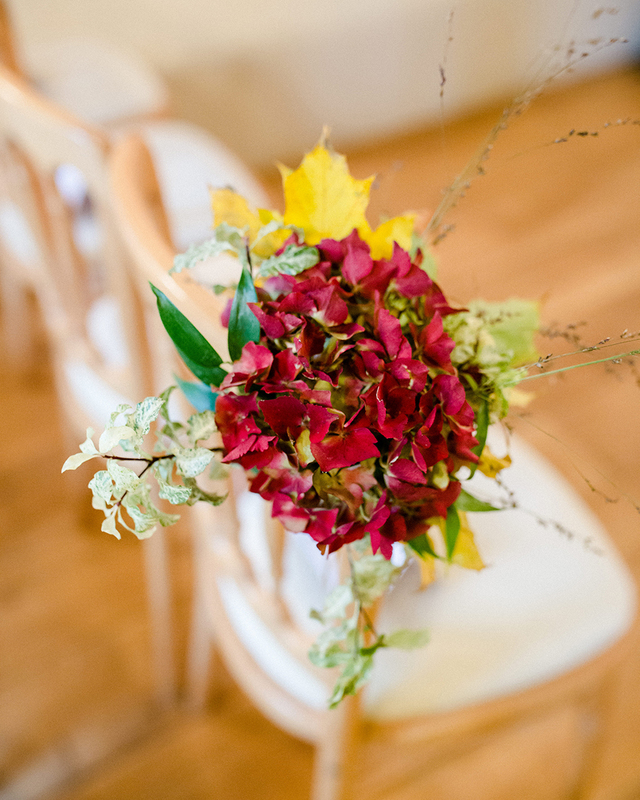 Think of roses and dahlias in gorgeous autumn colours and lots of lovely foliage in bouquets and buttonholes but consider adding seasonal pieces too. Seed heads, feathers, berries and leaves all look fantastic. 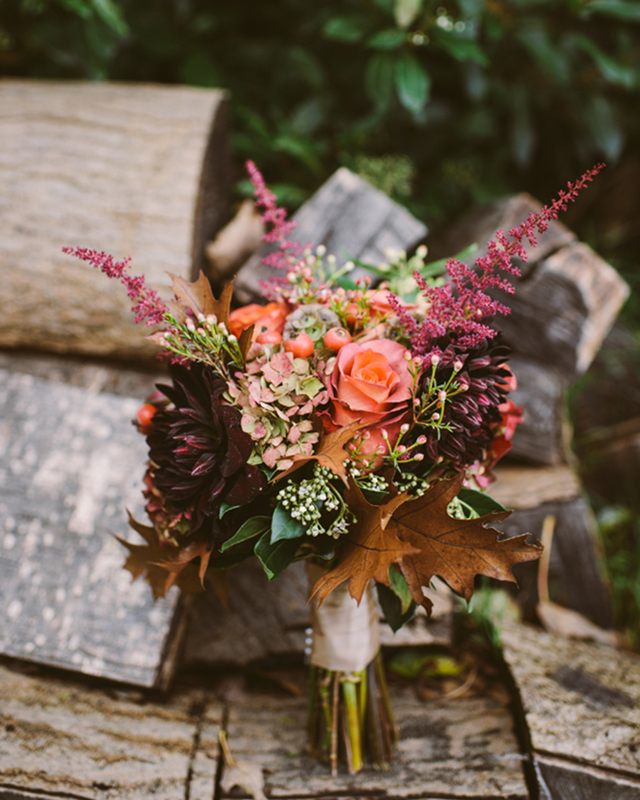 Autumn flowers need lots of texture and a natural palette so don’t worry about tightly packed bouquets and totally matched colours. 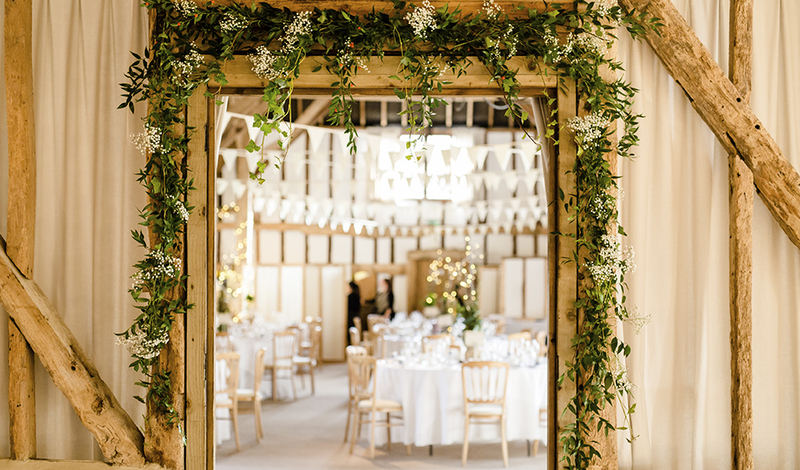 We adore floral arches and backdrops at Clock Barn and in autumn, there are so many styles that work. 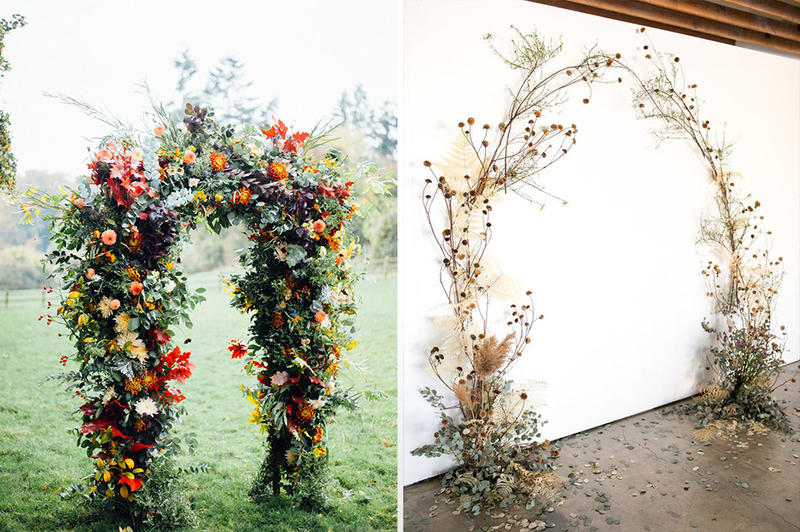 You could opt for a completely floral arch, packed with seasonal blooms, or you could opt for something a little more minimalist in style. Go for branches, ferns, fallen leaves and items from an autumn woodland. For a truly outdoors/indoors, stand. 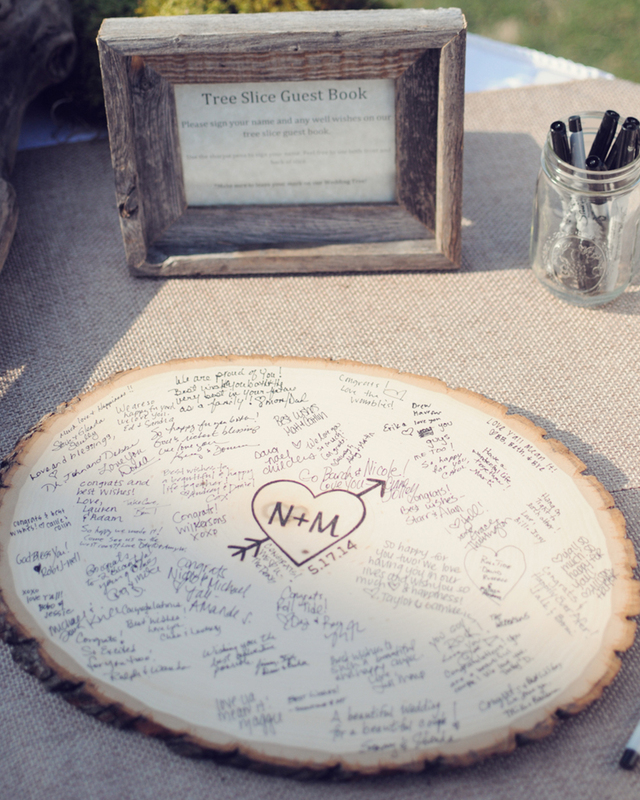 You can also pile up wood slices to create decorations or use a slice as an alternative guestbook! 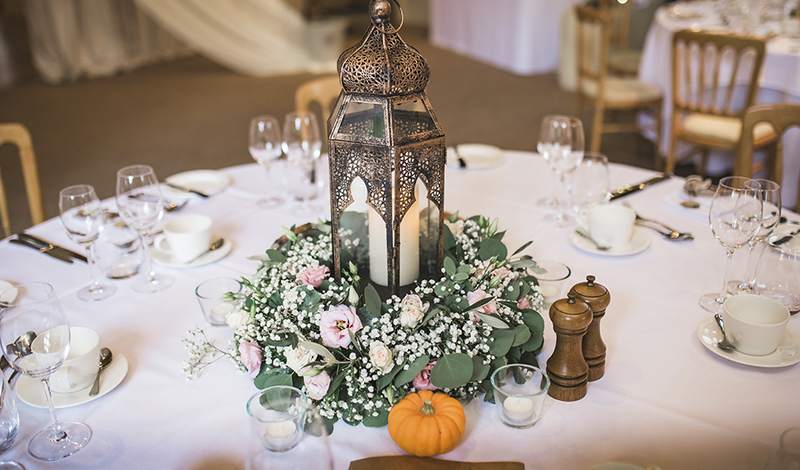 We couldn’t talk about autumn weddings without mentioning pumpkins! 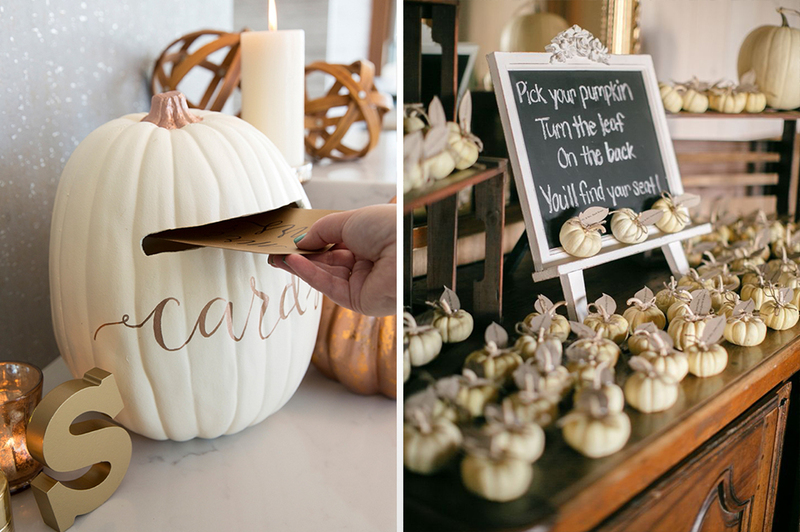 Pumpkins always make you think of winter and they’re absolutely brilliant if you want to create cool wedding decorations. Paint them any colour you like, carve them, fill them with flowers, turn them into post-boxes for cards, add lights or use mini versions as place cards or little additions to your tablecentres. 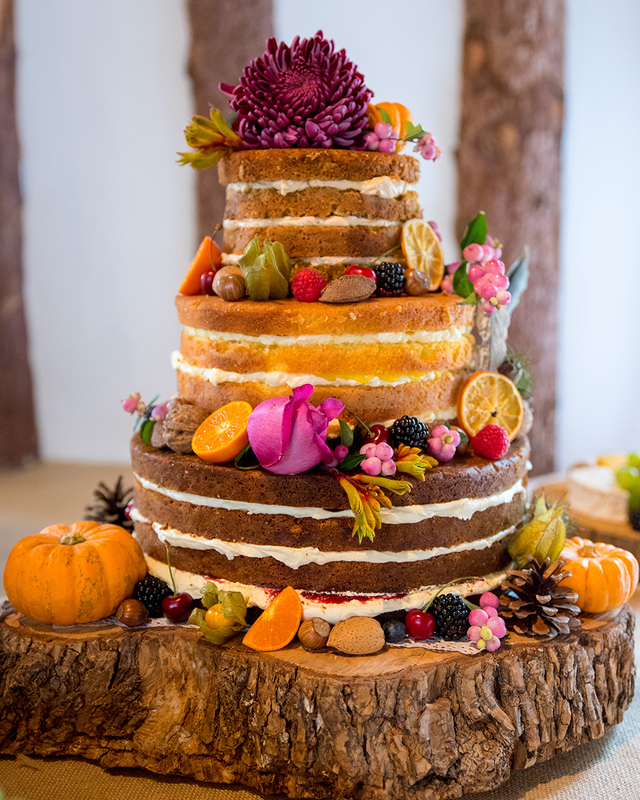 Whatever you choose, pumpkins are an autumn wedding must-have. 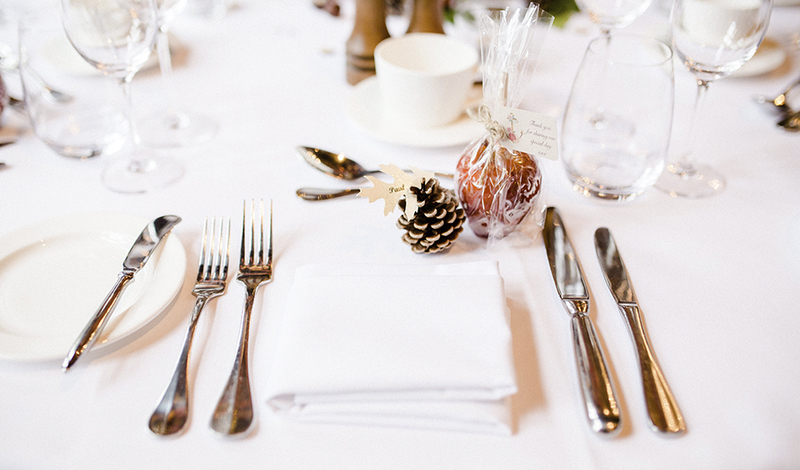 Even your wedding favours can have an autumnal feel too. 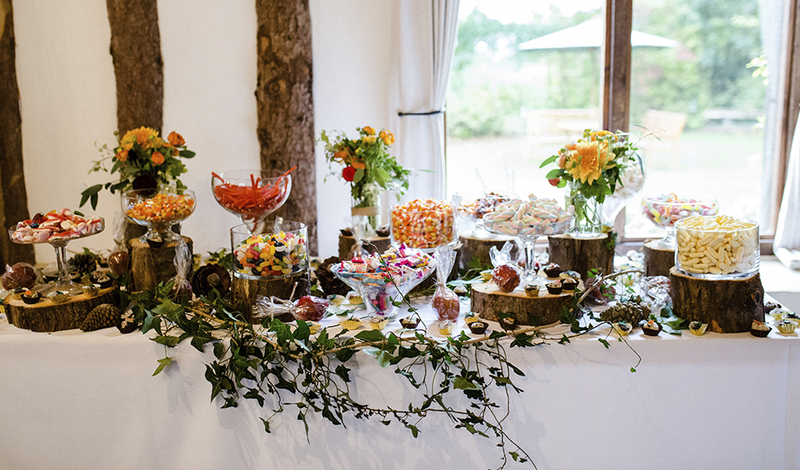 Autumn is harvest time so why not use the best produce of the season to create wedding favours that your guests will love? 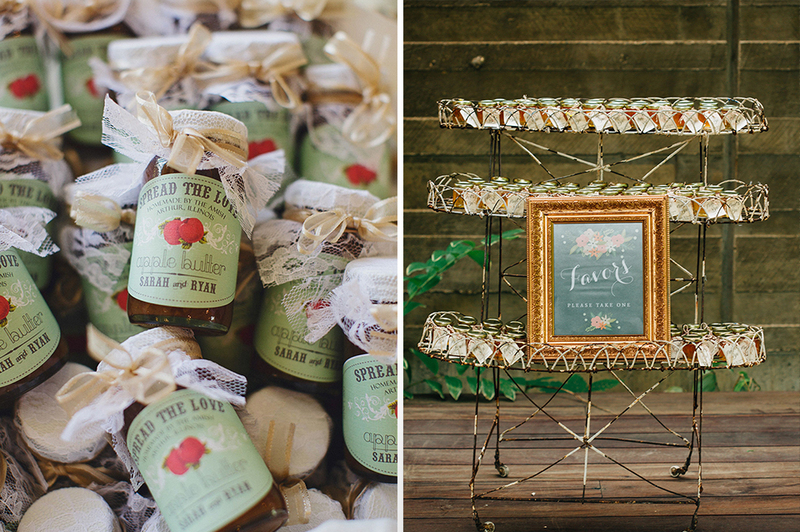 Spread the love with homemade jams, local honey or even toffee apples. 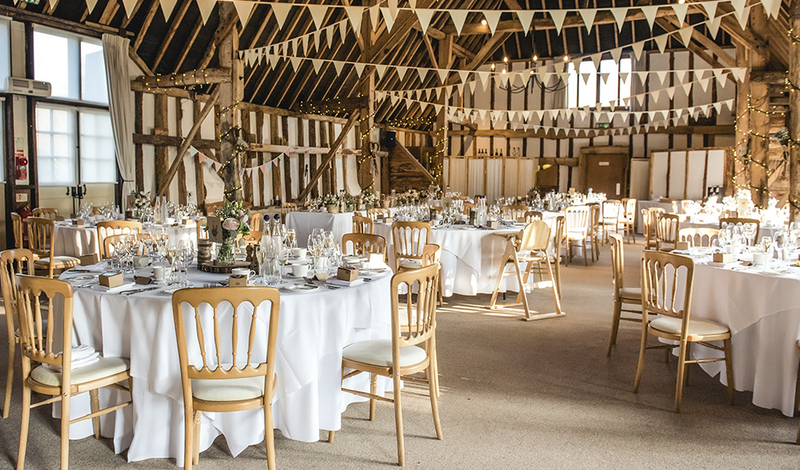 Clock Barn really is perfect for autumn weddings and we’d love to show you around this very special Hampshire wedding venue. Why not get in touch and arrange a time to come and visit us.